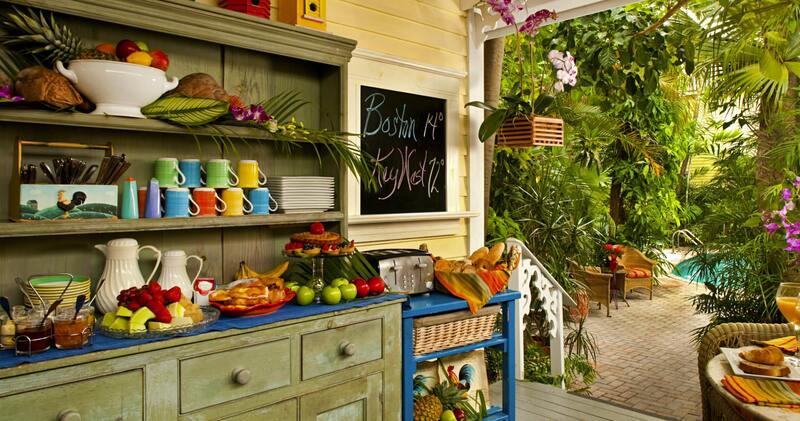 A particular pleasure at Tropical Inn is breakfast in our lush tropical garden. If you prefer, take a tray to your room, private porch or patio … or choose the inn’s upstairs veranda overlooking Duval Street, for a little people-watching as the town awakens! 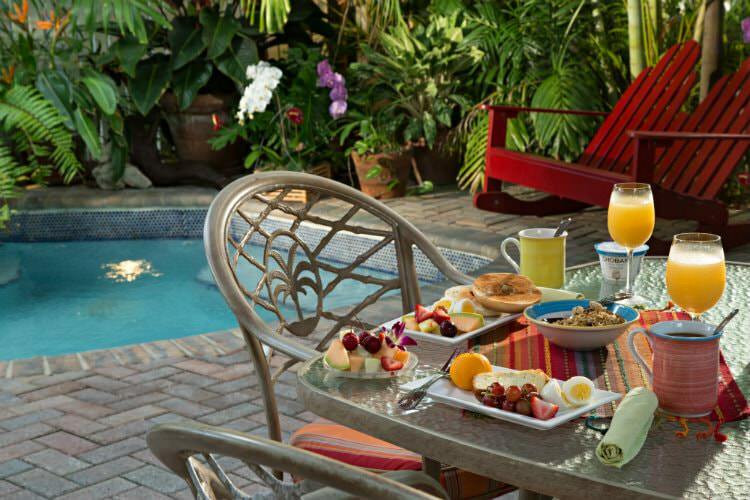 Here in the Keys, B&Bs do things a bit differently than our more traditional counterparts in, for instance, Napa Valley and New England. Breakfast is one example. At the Tropical Inn, we offer healthy, light but ample fare best described as an “expanded Continental” breakfast, as one might find in an upscale European inn. 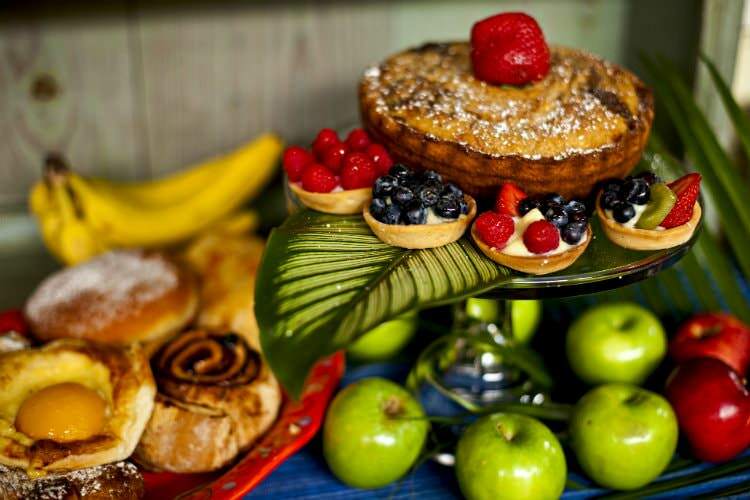 To an extensive selection that includes meats and cheeses, hard boiled eggs, cereals and yoghurt, pastries and fresh fruit, we add our own distinctive sweet treat, fresh daily from the Tropical Inn’s oven or that of a local bakery. We call it “Today’s Guilty Pleasure.” As for keeping with our otherwise healthy offerings, well … maybe not. But who doesn’t enjoy an occasional indulgence? We visit the marketplace several times a week to assure that you are always offered only the best quality and freshest, most wholesome selections, hand chosen from our island’s finest purveyors and locally sourced when possible. Breakfast is served buffet-style on the back porch of the Main House each morning, beginning at the civilized hour of 8:30. In keeping with the way we do most things around here, it’s a casual affair. Just help yourself when you’re ready.